If you have been experiencing migraines and chronic headaches because of night-time teeth clenching, our team of dental health professionals will be here to help you. 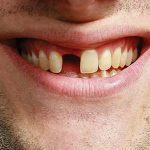 We will introduce you to a night guard that is a transparent or small device worn over your two front teeth while sleeping. This is useful because it helps prevent any contact between the molars and canines. The night guard also helps prevent the development of migraines and headaches and teeth grinding. Since this is custom-fitted, this also ensures a more comfortable fit. The impressions will now serve as a mold. Now, the night guard will be crafted out of a durable and strong plastic. After the guard is completed, it will now be fitted exactly to your mouth. What Makes Night Mouth Guard Good? 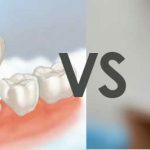 There are two essential factors that must be considered in buying a night guard for your teeth. These often include materials and fit used to create the night mouth guard. Actually, the fit is essential as it keeps the night mouth guard in the right place all the time. This further provides maximum comfort and protection for a user. Even though there are cheap mouth guards to purchase in stores, these are still not comfortable to wear. This is also because of the fact that these can easily fall out on your mouth. A customized night mouth guard that is designed and manufactured in a dental laboratory will bring more comfort while you sleep. In addition, a night mouth guard is also good if it is manufactured from strong and durable materials that can sustain pressure and shock. As per the best materials, these can include a strong rubber and a good acrylic. Acrylic night guard will be easy to use and will be easy for you to clean. Our team of dental health professionals will recommend you the proper way of taking good care of your Bite Guard. This way, you could expect it to last for at least five years. If you do not use your Night Mouth Guard, it must be properly stored inside the container. It must also be cleaned with mouthwash or cool water after each use. In addition, there is a need to clean it carefully once in a week with cool water or soap. When you will store it, just keep it inside a cool and dry place away from sunlight and heat.